File Shredder has been developed as fast, safe and reliable tool to shred company files. The author of this program released it free under GNU licence and you are welcome to download File Shredder and use it without any restrictions. 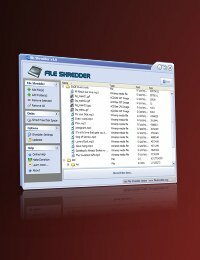 File Shredder is simple but powerful program that surpasses manu commercial file shredders out there. The Author believes that such a utility should be available to anyone for free and that permanent and safe removal of confidential documents is a matter of basic right to privacy. For more comprehensive protection you can download ArchiCrypt Shredder. It is very powerful commercial application suite which doesn't stop on shredding utility and is priced incredibly low for what it offers. If you don't need all the options of ArchiCrypt shredder and prefer separate utilities for important tasks some of best commercial utilities are produced by Blancco. They have really good Data Cleaner for shredding the whole volumes (Hard Disks) and that is something my File Shredder utility is not supposed to do - yet. But the best overall suite of privacy protection tools I've stumbled upon is from CyberScrub, they have a rock solid and full featured set of applications including data destruction, evidence cleaner, password manager and antivirus. Please note that I can not give any kind of support for File Shredder. I did my best to make this software useful and as reliable as possible but I can't an. I you want convenience of support and regular updates you may go with some of aforementioned commercial products or look at the privacy protection software list. If you like this software and use it please help more users reach it by linking to this website.